Fantastic Georgetown Condo! 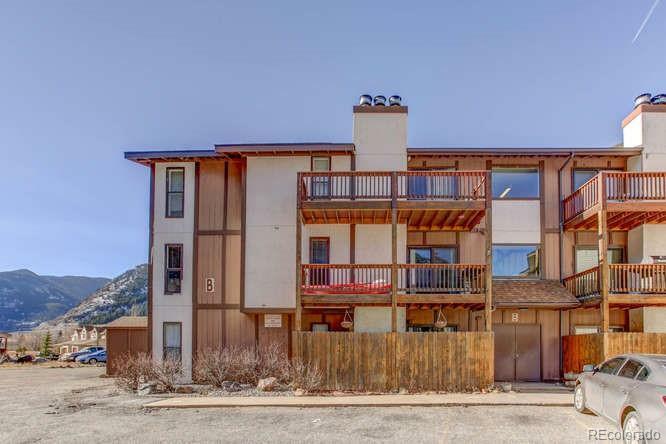 You won't want to miss out of this affordable mountain property with wonderful views. With added built-ins to give you more storage for the kitchen and dining area, it makes a great weekend get away. Georgetown Lake trail and the Clear Creek are outside of your window, so bring your fishing gear! Guanella Pass Scenic Byway, Mt. Bierstadt, Silver Dollar lake trail and everything the Rocky Mountains have to offer are around the corner. Loveland Ski area is just ten short minutes away with 8 other world-class ski resorts within a 50 min drive. Experience all of the wonderful shops Georgetown has to offer! Stop fighting the I-70 traffic and make this condo yours! Spend this ski season in your own place!